Boris was a standout winner who has shown enormous dedication to raising awareness and crucial funding for muscular dystrophy in Australia.” said Peter Blunden, Managing Director Herald & Weekly Times. 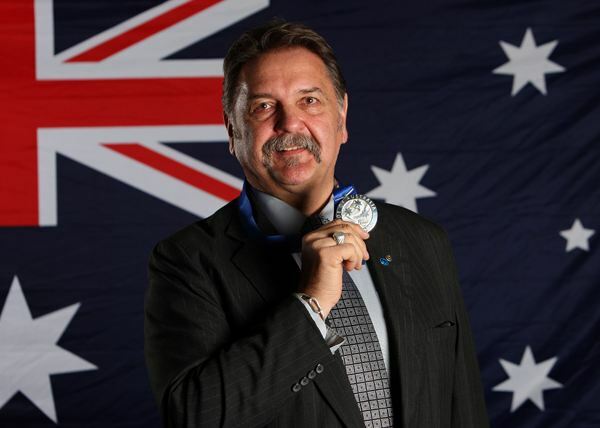 Muscular Dystrophy Association’s Executive Director Boris M Struk was awarded the Pride of Australia Medal at an awards ceremony held at the Melbourne Cricket Ground on July 7th. One of three shortlisted in the Community Spirit category, Boris was recognised for his work in enriching the lives of those around him in the MD community. This award is fantastic as it recognises Boris’ achievements and also because it has created much needed publicity for the ongoing fight against muscular dystrophy. “I am incredibly humbled and thankful to be recognised for the Pride of Australia Medal. To be awarded the Medal means that muscular dystrophy can be placed in the spotlight. To create awareness is to create more hope of finding a cure. My son was my inspiration for building this organisation to what it is today and the thousands of families we’ve been able to assist after a life changing diagnosis are my motivation to continue” says Boris M Struk. “The Pride of Australia Medal had outstanding nominees in each of the ten categories, which is a wonderful testament to the sheer volume of Aussies that are willing to help others and carry on the Aussie spirit. I am so proud to be nominated let alone recognised with the award,” Boris continued. Congratulations to Boris from the MD community.